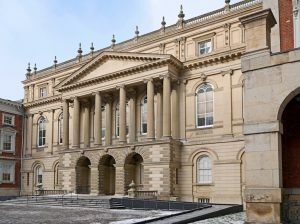 For decades, Ontario lawyers suing to collect their accounts have sometimes faced an obscure but potentially devastating obstacle: the Solicitors Act (Ontario). On its face, s. 23 of the Act seems to ban any action to collect fees from a retainer agreement even though s. 2 of the Act permits a court action to recover fees one month after an account is rendered. Worse, s. 17 seems to require that retainer agreements be reviewed and approved by an assessment officer before a litigation lawyer can receive payment. In most cases, however, neither clients nor the court raised these sections and collection actions proceeded to judgment. The Solicitors Act occasionally rose from obscurity, resulting in some actions being dismissed as having contravened the Act. The legal profession may be relieved to learn that, last month, a three-judge panel of the Divisional Court decisively confirmed in Gilbert’s LLP v David Dixon Inc, 2017 ONSC 1345 that these sections of the Act do not apply to “simple or usual written fee agreement[s]”. These sections date to 1909, when the Legislature adopted the wording of England’s Attorneys’ and Solicitors’ Act from 1870. The English provisions required lawyers to get agreements in writing when they wanted payment on an extraordinary scale. a gross sum or by commission or percentage, or by salary or otherwise, and either at the same rate or at a greater or less rate than that at which [the solicitor] would otherwise be entitled to be remunerated. This section appears to include virtually any retainer agreement. Herein lies the problem. By adopting old English legislation, the Ontario Legislature seemingly ignored that England and Canada have very different models of legal practice, not least in relation to England’s separation of barristers and solicitors. Even in 1973, the Ontario Law Reform Commission recognized the problems of the Solicitors Act‘s antiquated language and wrote: “In many instances, the language used in the present statute is archaic and obscure, and has caused difficulty in interpretation.” The Legislature never got around to fixing the problem, even though it significantly revised the Solicitors Act in 2002 by adding s. 28.1 and allowing contingency fee agreements. 23. No action shall be brought upon any such agreement, but every question respecting the validity or effect of it may be examined and determined, and it may be enforced or set aside without action on the application of any person who is a party to the agreement or who is or is alleged to be liable to pay or who is or claims to be entitled to be paid the costs, fees, charges or disbursements, in respect of which the agreement is made, by the court, not being the Small Claims Court, in which the business or any part of it was done or a judge thereof, or, if the business was not done in any court, by the Superior Court of Justice. In my view, once a lawyer chooses to enter into a written agreement with his or her client “respecting the amount and manner of payment for the whole or a part of any past or future services in respect of business done or to be done by the solicitor” then the lawyer is bound by the procedures set out in ss. 20 to 32 of the Solicitors Act. In particular, if the lawyer wishes to enforce the agreement then he or she must, as set out in s. 23, bring an application for that purpose in the court “in which the business or any part of it was done or a judge thereof, or, if the business was not done in any court, by the Superior Court of Justice”. I repeat that s. 23 expressly excludes the Small Claims Court from this authority. In the subsequent case Cozzi v Heerdegen, 2016 ONSC 3082, the plaintiff lawyer had a simple retainer agreement charging an hourly fee. When the lawyer brought an action to enforce the agreement and collect his fees in Small Claims Court, the Deputy Judge refused on the basis of Jane Conte and the apparent prohibition of Small Claims Court jurisdiction in s. 23. The lawyer appealed to Divisional Court, where Justice Dambrot applied a very narrow interpretation of the “agreement in writing” contemplated by s. 16(1), deciding that it only meant “a fee agreement that is out of the ordinary, such as contingency fee arrangements.” Justice Dambrot found that his interpretation was consistent with Justice Nordheimer’s ruling in Jane Conte. In that both decisions were from the Divisional Court, the possibility remained that other lower-court judges could follow Justice Nordheimer’s broader reading and, therefore, downplay Justice Dambrot’s narrower interpretation. On March 2, 2017, Justice Nordheimer eliminated any confusion in respect of an action by Gilbert’s LLP for its accounts. I conclude, therefore, that a simple or usual written fee agreement does not fall within the scope of s. 16(1); it is not covered by the requirement of review under s. 17; and it is not subject to the prohibition against an action being commenced to enforce it under s. 23. A lawyer, who has a simple or usual fee agreement, is entitled to have resort to the assessment process if s/he wants to, but the lawyer is also entitled to commence an action to recover his/her fees as contemplated by s. 2. As I have said, the client retains the right to require an assessment as provided for in s. 3. Justice Nordheimer acknowledged that the plain wording of the sections in question would result in absurdity: s. 17 would require assessment officers to pre-approve almost any retainer agreements for litigation work before any fees could be paid. This approval would still be required for unusual fee agreements (an undefined concept that may result in further litigation), but requiring it for all agreements (most importantly, hourly fee agreements) would completely overwhelm the assessment office, where lawyers and clients already have to wait as long as two years or more for an appointment. The Gilbert’s decision is a refreshing reminder that judges will not let outdated laws trump common sense. Context always matters, and judges will listen to arguments about how the legal system actually works today, instead of how it might have worked 100 years ago. A lawyer has two options to recover his or her accounts: an action in the court under s. 2 of the Act or an assessment by an assessment officer under s. 3 where the retainer is not in dispute.